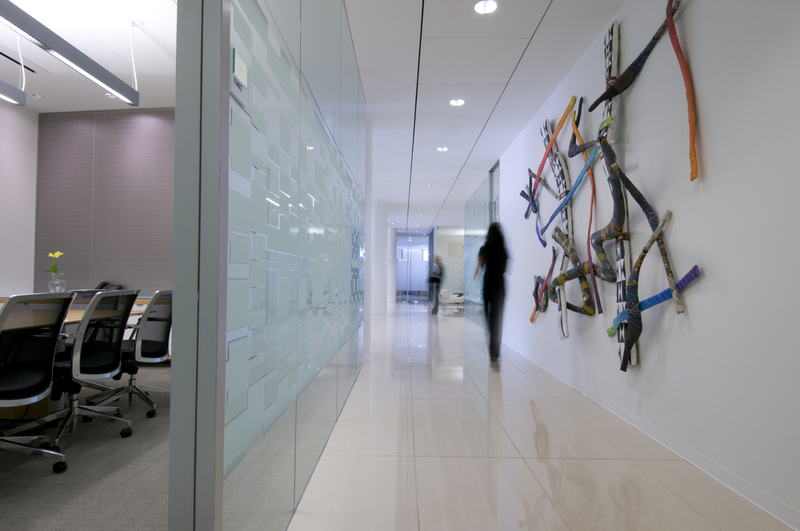 While Associate Principal at GGA, and working in collaboration with Milev Architects of New York City, Catarina Ferreira was the Project Architect for Phase 1 of the Washington, DC offices of Bingham McCutchen LLP, and one of the Lead Designers & Project Manager when the office expanded in Phase 2 of the project. One of the top places to work in the US, Bingham McCutchen consciously maximizes the potential of architectural design to attract and retain top talent. Their multi-floor Washington DC office is no exception. Here the focus is open, light-filled areas, and literal and perceptual transparency achieved by the use of floor-to-ceiling glass on interior corridor walls. 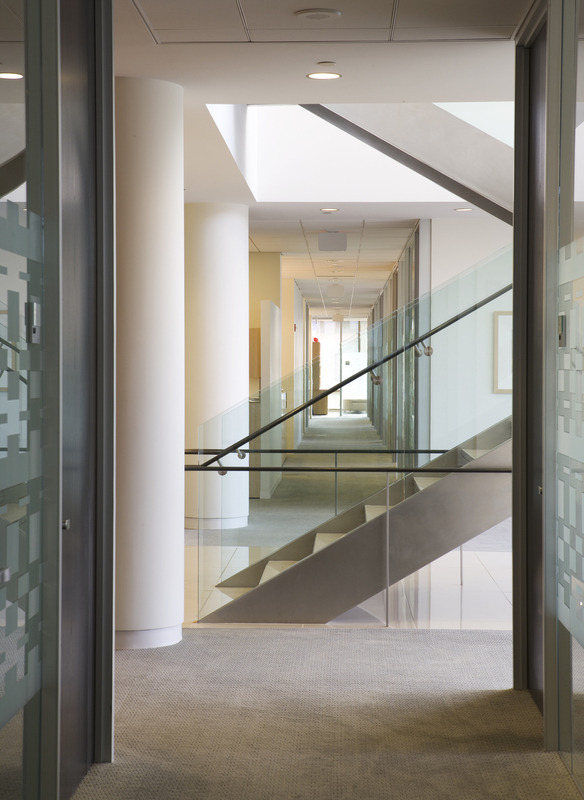 The full height glass, partially patterned, allows visual privacy for the attorneys while creating an open, contemporary atmosphere. 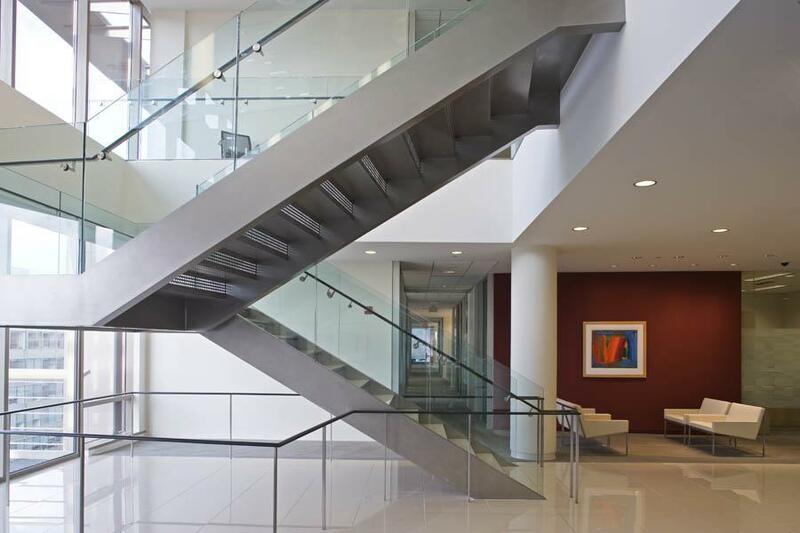 A central element to the office is the glass enclosed staircase overlooking K Street and the skyline of Washington. 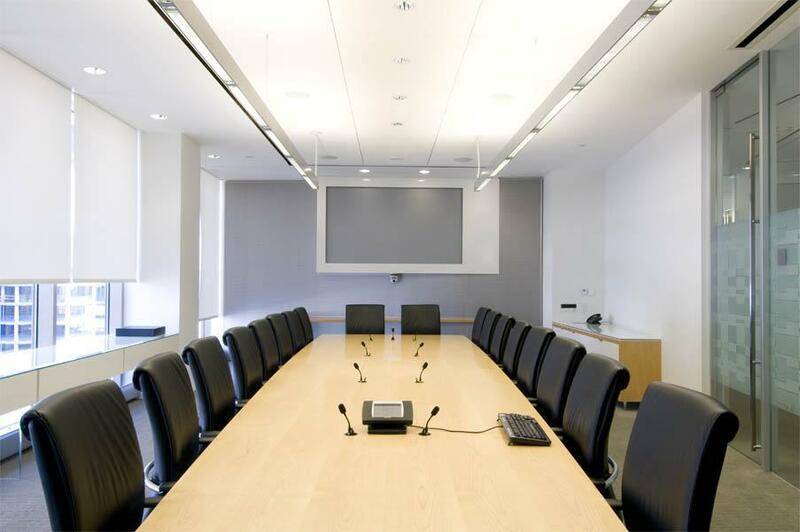 The office includes a large conference center with a 170-person multi-purpose room, a Board Room, and other various-sized conference spaces and meeting spaces, including a ‘cigar lounge.’ One of the meeting rooms is adjacent to the Bingham Cafe and is utilized for large social functions and training. The cafe includes a commercial warming kitchen and full deli, and the dining area has as a central element a bank of custom banquettes also designed by Ms. Ferreira. The facility also includes an IT center, library and resource center, HR center, central records center, and financial center.